The Rustic Natural Cedar sturdy Western Red Cedar Window Arbor is built to last, and can be painted, stained, or left to weather gracefully to a warm silver gray. 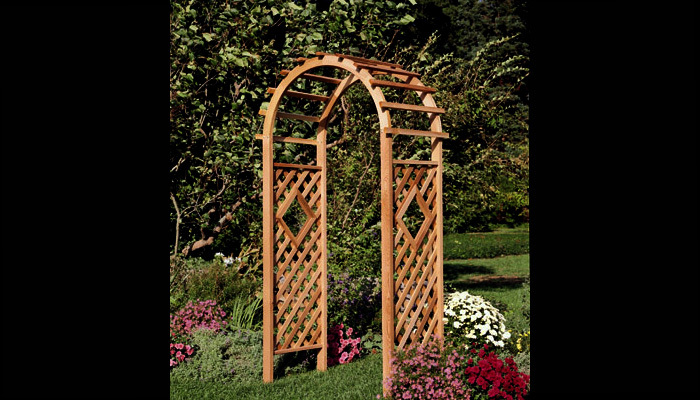 The Window Arbor features a diamond-shaped window in the center of each lattice side panel. Covered in wisteria, climbing roses, or English ivy, these freestanding structures add architectural interest to any outdoor garden or walkway. Red cedar is naturally rot and insect resistant for years of useful beauty. Anchor Kit required for proper installation (sold separately). 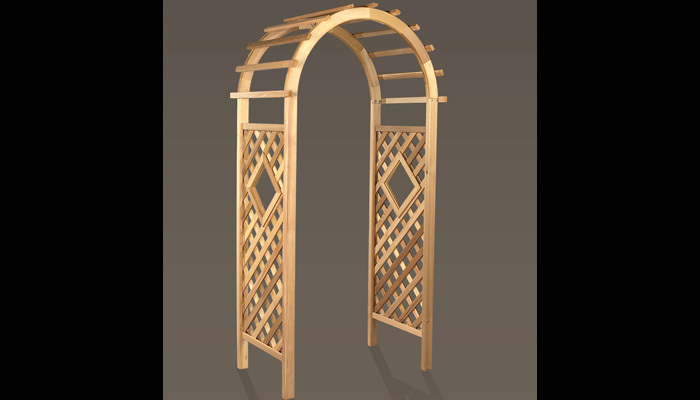 An inexpensive arbor with all the quality of more expensive arch structures!